Pork chops can be so versatile. 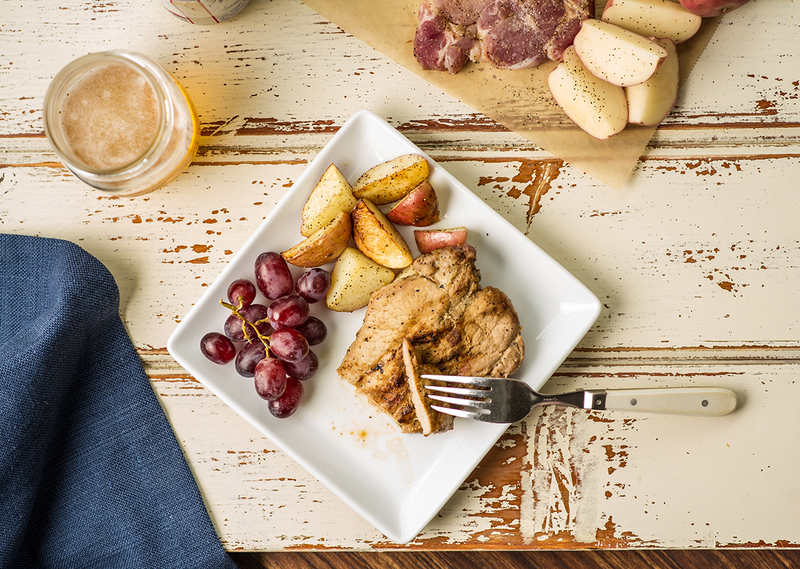 Try this honey mustard variation for a great savory sweet pork dinner. Preheat the Indoor/Outdoor grill on Setting 4. In a small bowl mix together the honey mustard, honey, garlic powder, onion powder and salt and pepper. Pat pork loins dry with a paper towel and season with your favorite pork rub (I love a sweet and smoky rub to bring out the sweetness of the honey). 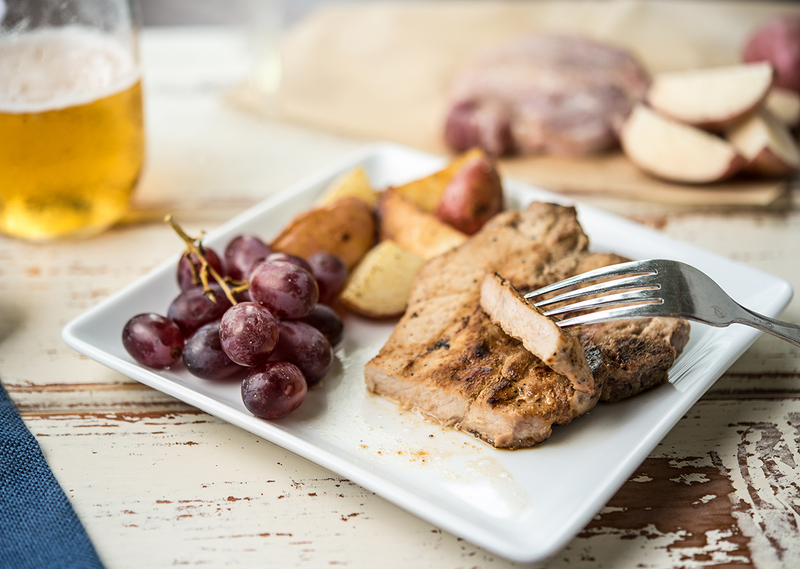 Place pork chops onto the preheated grill and place the lid on the grill. Grill for 5-7 minutes. Flip pork chops and baste the grilled side with the honey mustard mix. Place the lid back on the grill and continue grilling for 3-4 minutes. Flip the pork chops and baste the remaining side. Place the lid back on the grill and continue to cook for 1-2 more minutes. Once the pork chops have reached an internal temperature of 135°F, take off the grill and let rest for 5 minutes, until the internal temperature reaches 145°F.